A bright, cheerful board book for bonding time with babies and toddlers because it's never too early to introduce children to the fun and healthy joys of yoga. Guides children through 10 authentic and simple yoga poses named after "bugs" (e.g., Bee, Caterpillar, Stick Insect) for babies and toddlers. 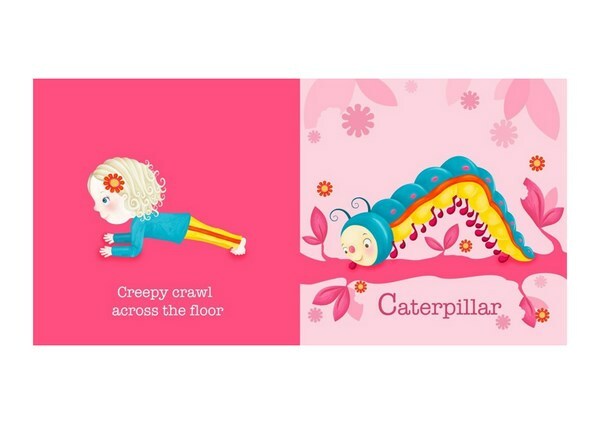 An illustration of a child in the pose is on the left-hand page with fun and simple text (Creepy crawl across the floor, Lift and twirl up to the sky); an illustration of the corresponding bug in the same pose is on the facing righthand page. Includes a parents' guide to the source yoga poses and helpful tips. You're never too young to make friends with your body. In this beautifully-designed and sturdy board book, very young learners are asked to imitate ten familiar insects with child-friendly yoga poses. 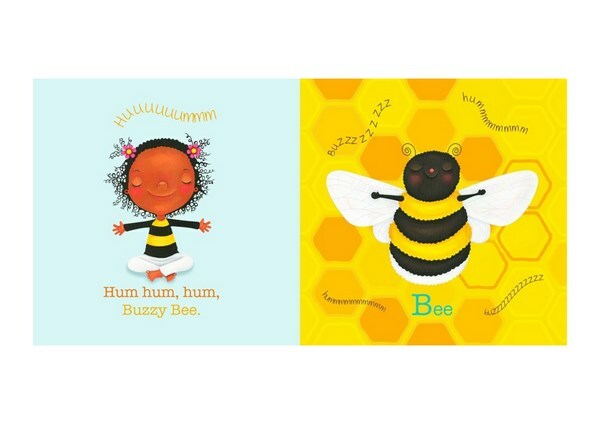 From Hum, hum, hum, buzzy bee to Shine and sparkle, twinkle toes to Wiggle, giggle, jiggle, hands and feet the illustrations on the double-page spreads show both serenely happy children and the insects in the poses. Hinder has already made her mark in children's yoga libraries with Good Night Yoga and Good Morning Yoga. This charming addition to her credits further secures her place as a leader in the field.